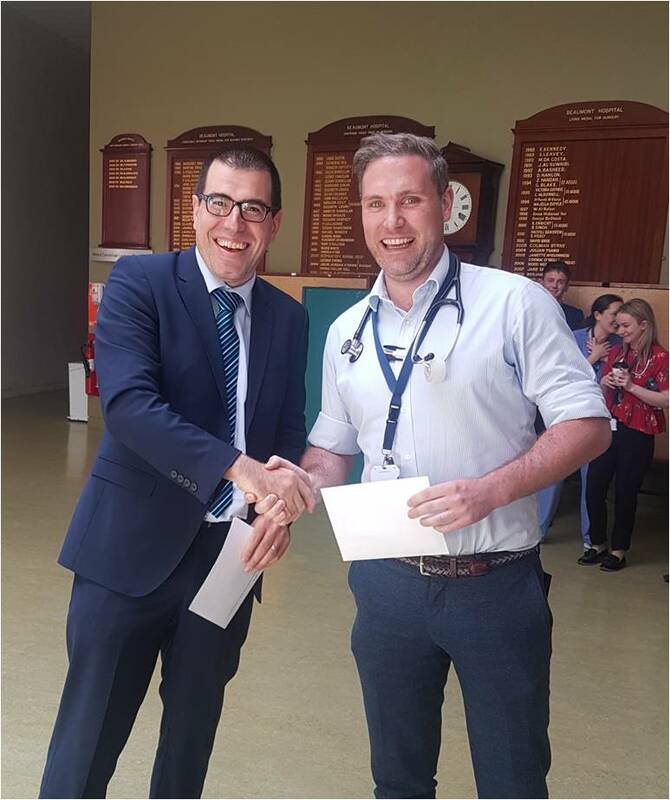 Congratulations to Dr Brian Creaner who has been given the Beaumont Hospital Intern of the Year Award 2018. The winner of the 'Intern of the Year Award' is selected by their co-interns, to recognise a colleague who has demonstrated excellence in their professional practice and contribution to the intern group. The photo shows Prof Declan De Freitas, (RCSI Intern Tutor/Beaumont Hospital) presenting Brian with his award.